Cover of The Working Woman, 2011, courtesy Wyspa Art Institute and Precarious Workers Brigade. The Precarious Workers Brigade (PWB) was founded in London in the early years of the twenty-first century by members of the Carrotworkers’ Collective (CWC), a group engaged in the issue of exploitation of interns by art institutions. PWB is often mentioned as an organization mobilizing the dark matter of art, and currently they are involved in the concerns of precarious working and living conditions and the challenges faced by ethnic minorities and and other individuals staying in the UK without documents. They also deal with issues of cultural policy, the privatization of the British art habitat, and the redefining of the curriculum for students of art and other creative fields. PWB’s practice is based on a common commitment to the development of tools and actions to make practical use, which are created using artistic competence. 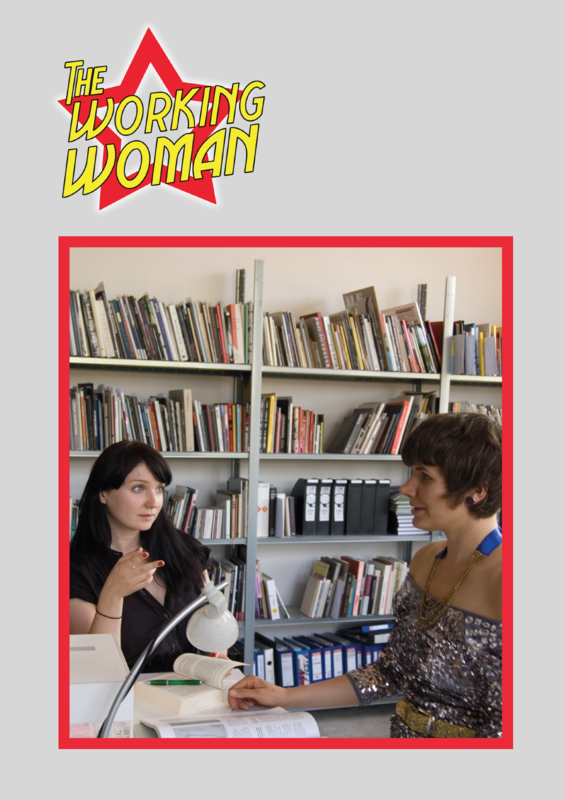 A good example of this practice is the photo-novel presented in the exhibition entitled The Working Woman, the fruit of a series of workshops conducted by CWC/PWB at the Wyspa Art Institute in Gdańsk in 2011. This humourous photo story was created jointly with workers from the creative sector, and it sums up the group’s discussions on the consequences of unstable forms of employment. Other resources, such as guides for interns, samples of protest letters, and documentation from worker tribunals, can be found online as part of a toolbox developed by the group. The report presented in exhibition consists of a photostory, commissioned by Wyspa Art Institute in 2011 and licensed by the Museum of Modern Art in Warsaw for the duration of the exhibition. Courtesy Wyspa Art Institute and Precarious Workers Brigade.